I don’t know about you, but I’ve been seeing people with blackened teeth on my feed lately. It is, ironically, all about this new wonder product that’s said to help make your teeth whiter and cleaner—tooth powder. Although actually, tooth powder is far from new. It’s been in use since the age of the Egyptians and ancient Greeks. This ancient tooth powder used to be made of burnt eggshells, pumice, and even ashes from ox hooves. Come the 18th century, tooth powder started to be sold in Britain, and it used baking soda as a key ingredient. The following century saw its evolution into the toothpaste we know today. But lately, tooth powders are making a comeback, incorporating a variety of natural ingredients and essential oils. If you’re curious about this old-school, but considerably light and less-processed way to clean your teeth, here are some local brands to get you started. Propolis is a resinous mixture made by bees using saliva, beeswax, and substances from trees, saps, flowers, and other plants. It has also been used in traditional medicine to treat cold sores, cough, and throat irritation. 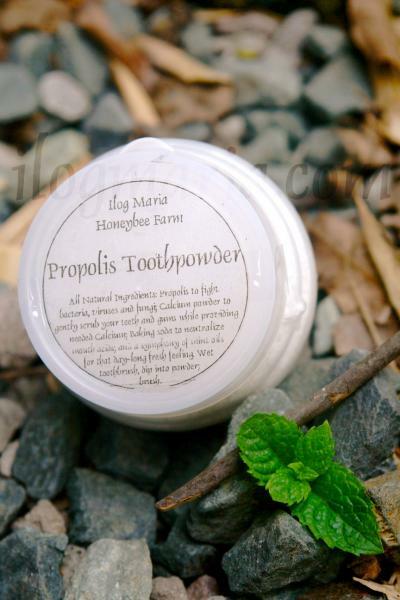 Ilog Maria incorporates this natural substance into their tooth powder, which is mixed with extra-fine calcium powder and baking soda for cleaning and whitening of teeth. If you’re wondering about the taste don’t worry, it’ll be like your favorite mint toothpaste, thanks to the mint oils in it. You can also use it with your current toothpaste, if you’re not too keen on going all-charcoal. Just sprinkle a dash of powder on your toothpaste and brush as usual. The Apothecary carries all sorts of organic products, from soaps, ointments, sprays, massage oils, shampoos, balms, and even candles. 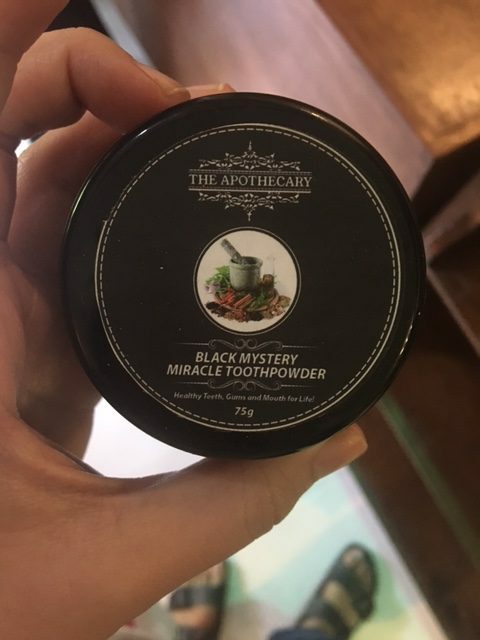 Part of their collection is the Black Mystery Miracle Tooth Powder, which helps in keeping teeth and gums healthy. Alternatively, you can also make your own tooth powder at home. Many DIY tooth powder recipes online list bentonite powder as a key ingredient—yes, the same powder used in face masks. But before you scoop spoonfuls out of that Aztec Healing Clay tub, make sure you’re working the kind that’s suitable for oral use (just read the labels). Mix in some baking soda, calcium powder, ground cloves and cinnamon, and even mint.